Earlier this month, Kate and I (who if you didn’t know, live on opposite ends of the country) got to meet up in person in the charming city of St. Augustine, Florida! 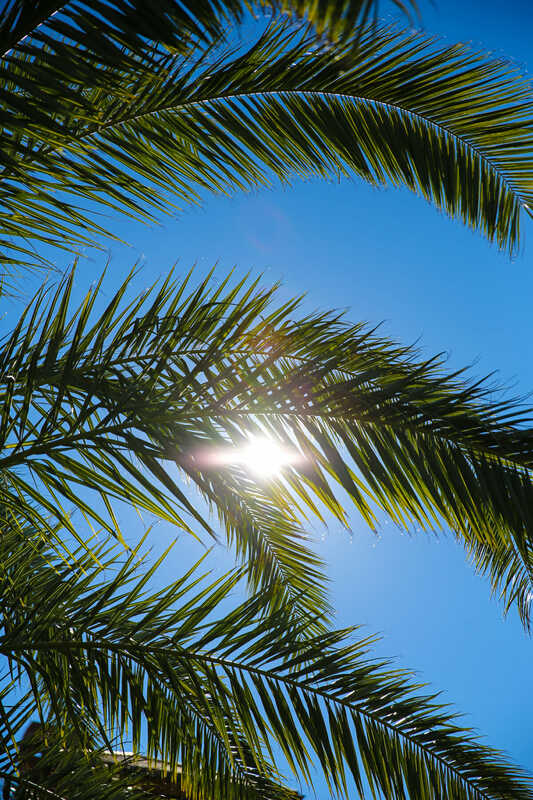 Although it was chilly while we were there, seeing vibrant tropical palms against a rich blue sky in the month of December was pretty much heaven for this Idaho girl who left 18 degree weather behind at home! This trip inspired the recipe for the amazing flourless chocolate dessert I’m sharing today. American Heritage Chocolate is one of our favorite brand partners. Aside from being really great people with a really great product, the folks at American Heritage are about more than just chocolate. We love how we’ve been able to be immersed in different historic locations and learn more about these treasured places in our country. (You can also read about some other locations we’ve explored, like Fort Ticonderoga, in New York, and Philadelphia.) I’ve fallen in love with each of these places as I’ve experienced the rich culture and history they each have, and interestingly, how they all have a history with chocolate, as well! I’ll be honest- I think my west coast education failed me because I do not remember learning about St. Augustine in history class (okay maybe I did and I was writing notes to pass in class instead, totally possible) but this place is a big deal! They call it “first coast” because it is literally the first city in America. Did you guys know that?? Founded by the Spanish in 1565, St. Augustine is the oldest continuously occupied European-established settlement in the US. Chocolate hit the shores of St. Augustine in 1641 on board the Spanish merchant ship the Nuestra Senora del Rosario y el Carmen. I have so many great things to show you from St. Augustine, that I’ve written an extended travel post you can check out by clicking here! But for now, I wanted to tell you about this recipe, because it’s amazingly delicious, easy to make, and adaptable to a plethora of different flavor combinations. It features American Heritage Chocolate, but you can certainly adapt with any semi-sweet or dark chocolate. I particularly love American Heritage in this because chocolate is definitely the star, here. 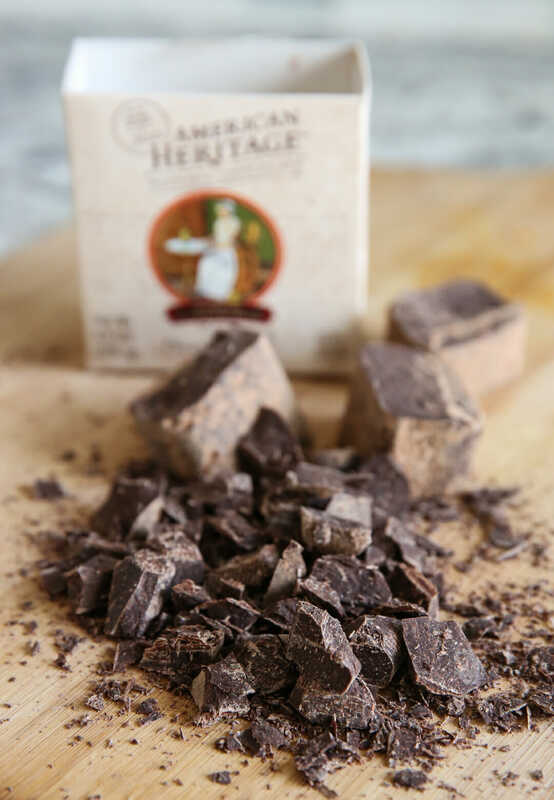 There are only a handful of ingredients so every nuance of your chocolate will shine through and American Heritage Chocolate features a rich flavor profile with subtle hints of things like chili, cinnamon, anise, orange and more. If you followed along on our trip via social media, you may have watched our Facebook Live with Sherry Stoppelbein, owner and chef at Hot Shot Bakery and Cafe in downtown St. Augustine. She’s an absolute gem, and she made us a flourless chocolate cake with hot pepper jelly (using St. Augustine’s famous datil pepper) and raspberries. It was divine. I took a photo of her recipe, which was just a small list of ingredients and no instructions, casually scribbled in sharpie on a scrap of paper. 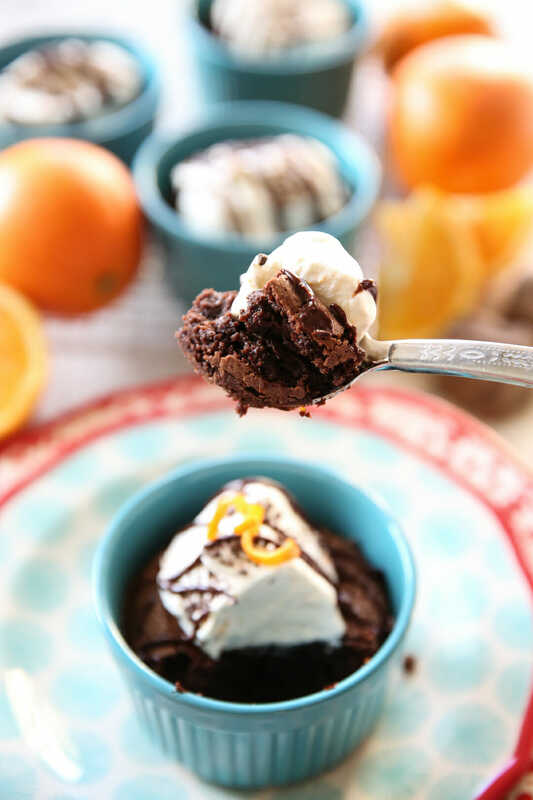 I wanted to recreate a twist on that amazing chocolate concoction and I immediately thought of one of my most favorite flavor combinations: chocolate and orange. My mother would always buy me chocolate oranges at Christmas time and what screams Florida more than citrus?! It’s a match made in heaven. I struggled on what to call these because they’re not really cake- it’s more like a really rich, fudgy brownie, but a little more delicate. In fact it has all the same cast of characters, except for flour. They’re SO decadent. 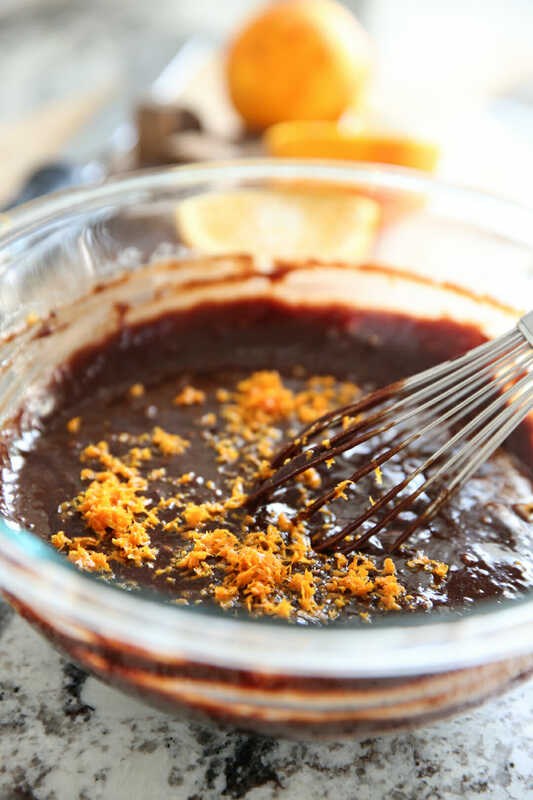 I’ve spiked my batter, my ganache, and my whipped cream with bright, fresh orange zest and it’s such a lovely pairing. Let me show you how! Start with chocolate (duh!) and melt it along with some butter. 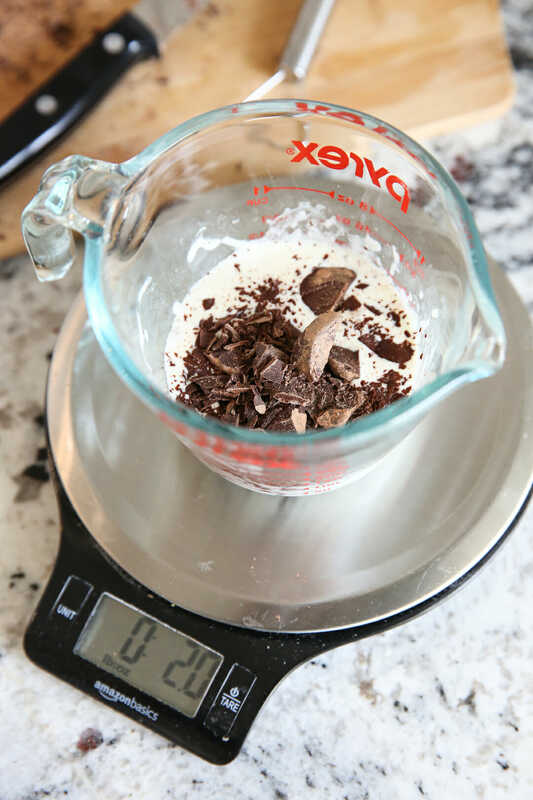 I’m using a grated chocolate here because it melts so easily, but you can use chocolate in any form since you’ll measure by weight. I use a double boiler because I feel like heating it gently is the best way to get it silky smooth and consistent. You’ll mix the chocolate and butter with eggs and sugar and that’s it! That’s the magic batter. 4 ingredients, people. I add a generous amount of freshly grated orange zest right into the batter. And then cook them in individual ramekins. You can see how that top is kind of caramelized and crackly, and then the inside is like molten fudge. While those are cooling off, I made a quick ganache- which is basically a mixture of chocolate and cream. 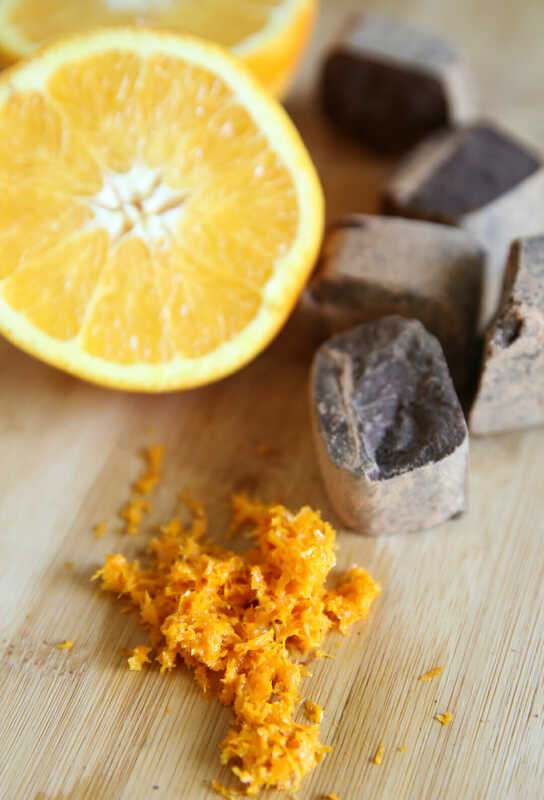 Instead of orange zest, I added just a bit of pure orange extract here to keep it really smooth. After your tarts cool down a bit, they shrink and kind of indent in the centers, which is the perfect place to swirl in that ganache. The finishing touch on these beauties is a cloud of fresh whipped cream, and you guessed it, more orange! This way you get a little hint of orange in every single bite, but it’s not at all over-powering. 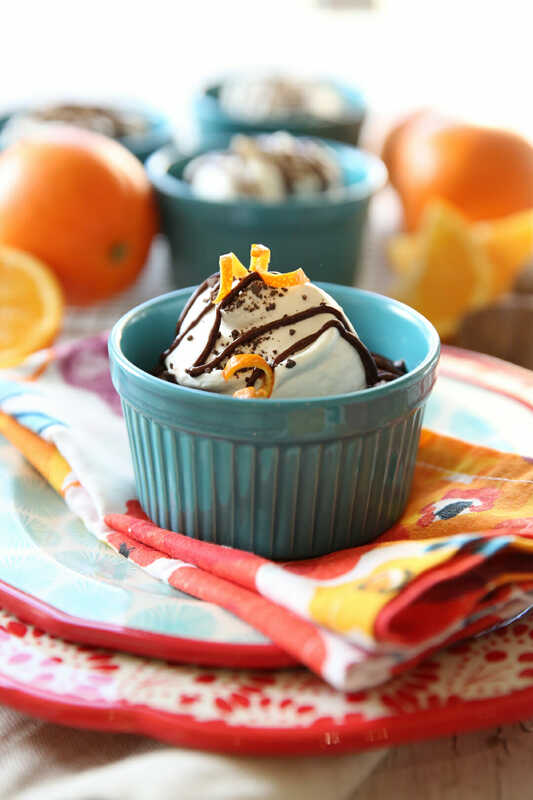 You can drizzle a little extra ganache over the top and garnish with a sprinkle of chocolate and a twist of orange peel . 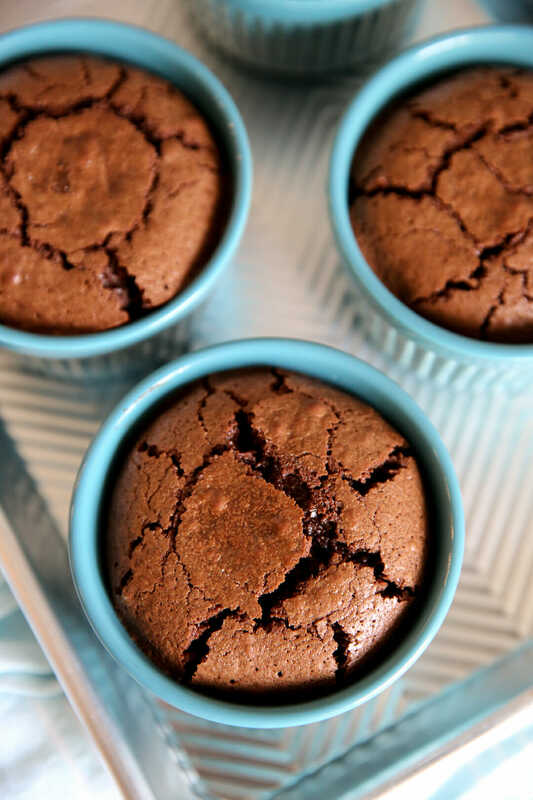 Your spoon will crack through the slightly crunchy top and then pull out a rich, moist, fudgy interior. 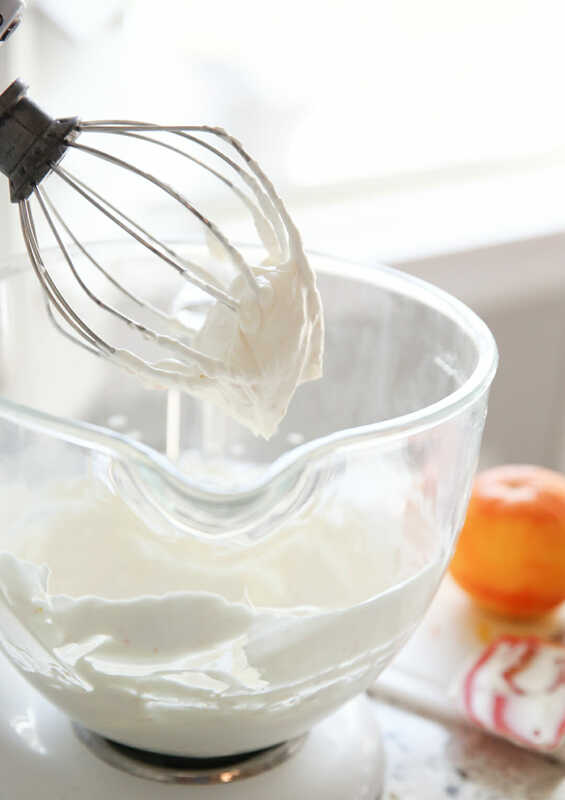 The orange in the whipped cream cuts through the richness and balances every bite. 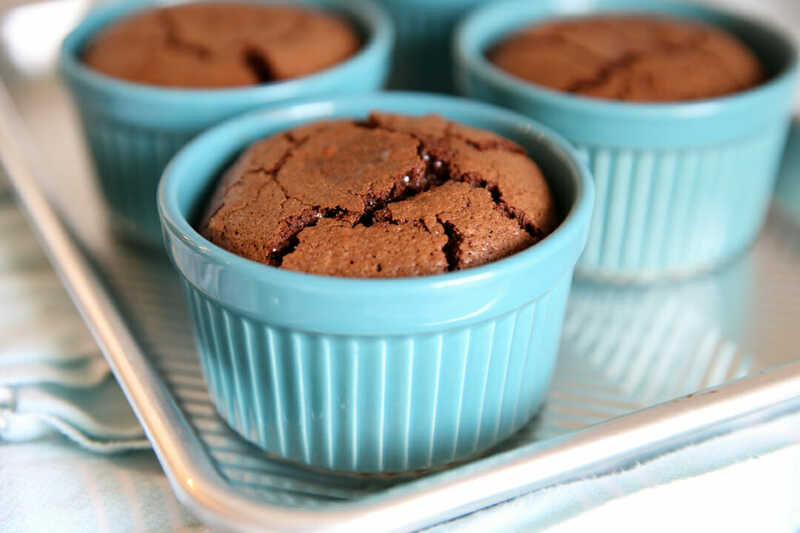 These are fabulous in small quantities so feel free to make them in a smaller ramekins. I’ve included notes in the recipe notes about options, there. These would be a fabulous end to a holiday dinner! 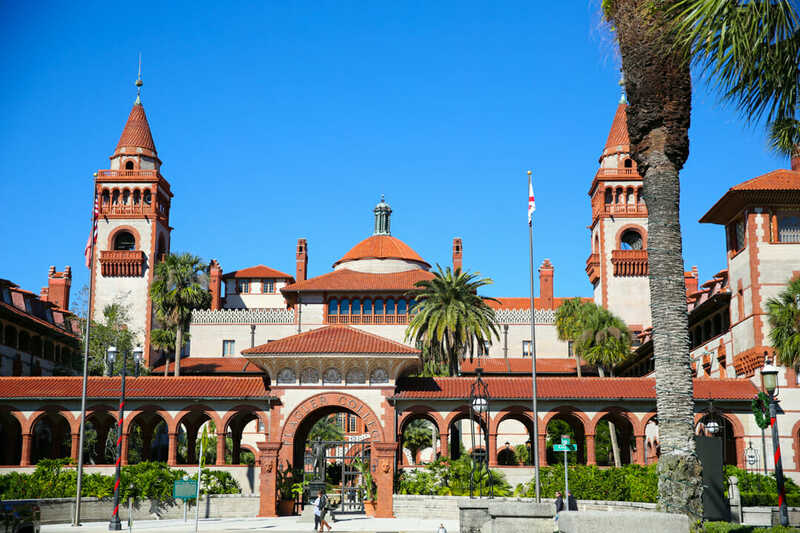 And if you’d like to see more pictures about beautiful St. Augustine, don’t forget to click here! 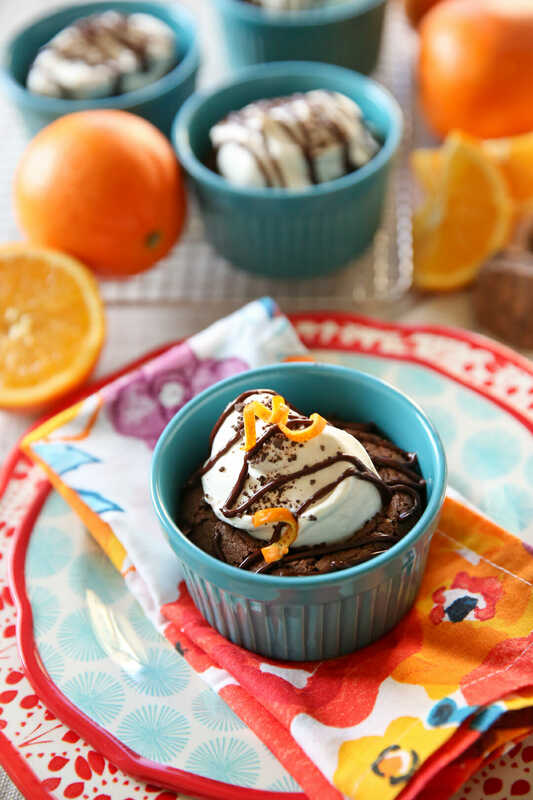 Rich, fudgy flourless tarts are spiked with fresh orange zest and topped with a silky ganache and a bright citrus whipped cream. Preheat oven to 350 degrees. Lightly grease ramekins (see note about sizes) and set on a baking sheet. 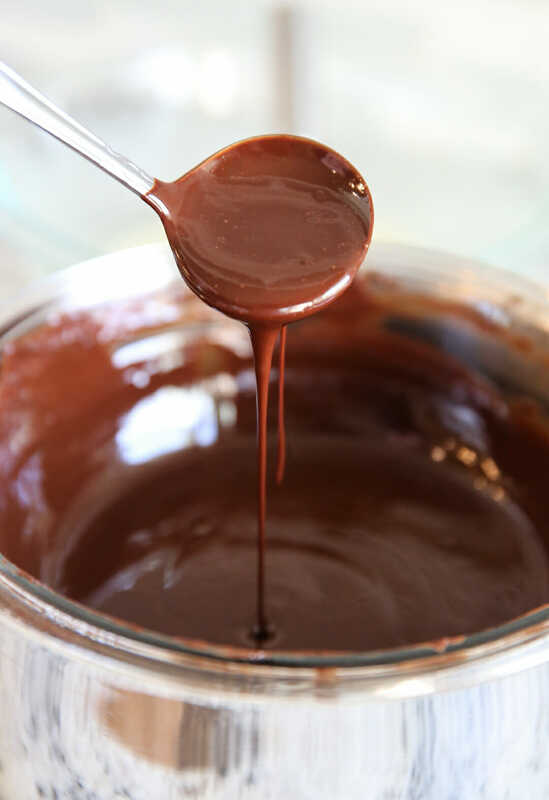 Melt chocolate and butter using a double boiler, stirring until melted and smooth. Remove from heat. In a separate bowl, whisk together eggs and sugar until thick and frothy, about 1 minute. 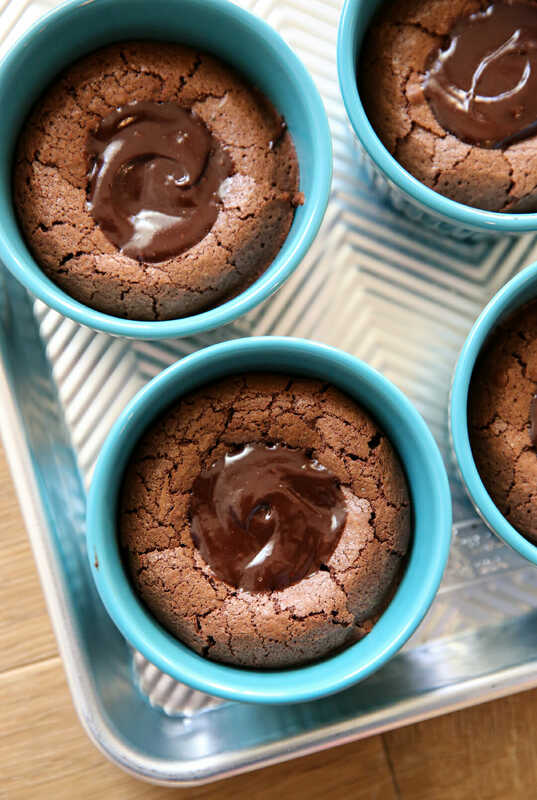 Slowly drizzle chocolate mixture into egg mixture while whisking constantly. Stir in orange zest. Transfer batter to ramekins, filling 2/3 full. Bake for 25-35 minutes, until tops are set and a skewer poked in cakes comes out moist and slightly fudgy but not wet. While tarts are cooling a bit, prepare ganache. Place cream in heat proof container and heat in microwave until hot and starting to bubble. 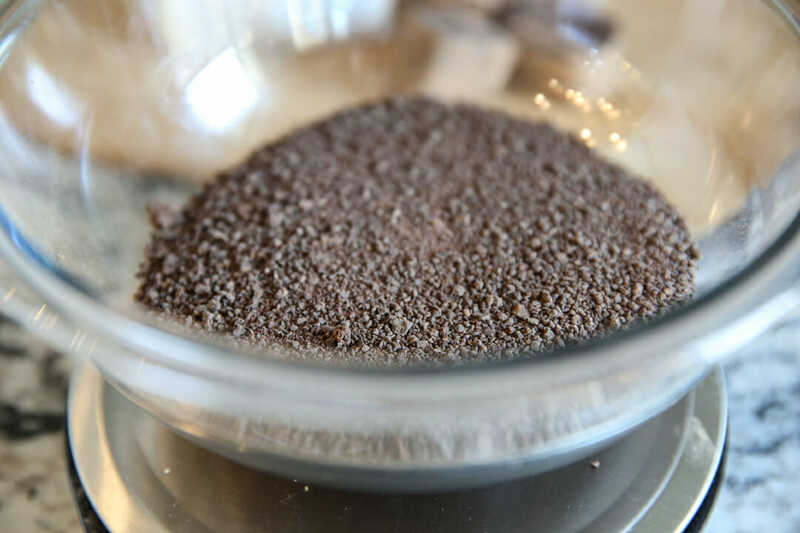 Remove from microwave and stir in chocolate until melted and smooth. place about 2 teaspoons ganache in center of each tart, set the rest aside to drizzle on top. Tarts can sit like this at room temperature all day if needed. Makes 4 servings using 9 ounce ramekins as pictured. If using 6-8 inch ramekins, it would yield more like 5-6. Recipe easily doubles if you’d like to make more. When making your grocery list, grab several oranges to have enough for zest! *This post is in paid partnership with American Heritage Chocolate, a brand we love and use! YUM!! 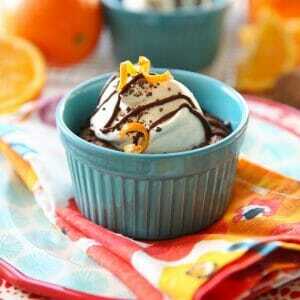 Love chocolate and orange together. Flourless cake brings back memories of sitting with my grandma in a restaurant “tasting out the ingredients” of a flourless cake she wanted to recreate. Sounds divine! awe, I love family memories like that! These look great. I’d like to try them for family dinner tomorrow. When you say any semi sweet or dark chocolate can be used, does that mean baking chocolate or a candy bar type of chocolate? Is there a difference? baking chocolate or chocolate chips work great! Can you mention what’s type of chocolate you’d prefer if we don’t do american heritage? Is that dark chocolate or milk or what percentage so we can try and get the similar taste? Any semi-sweet chocolate is great! 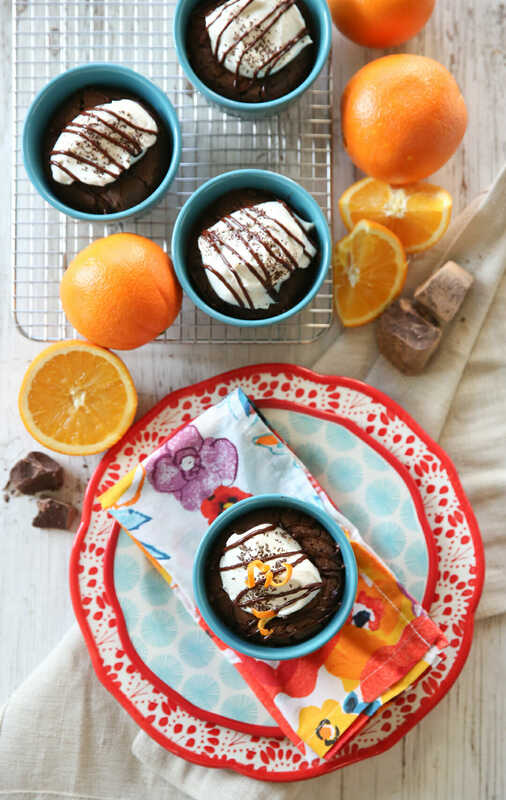 So, what if I have a husband who doesn’t like orange and chocolate? (I know, he’s crazy!) What other flavorings could I use? What about just vanilla- so the chocolate flavor really shine? Yep- just leave out the orange, totally delicious! This sounds soooo good! Totally making these for Christmas! Thanks for all the yummy recipes and have a wonderful Christmas. Tried these for New Year’s and was in chocolate heaven!!! Rich & decadent – yet, not too sweet. Loved the orange in the whipped cream too! Going to be one of my “special” go to desserts and can’t believe how easy it all was. Thank you! Could I make this in a pie or cake or large tart pan? I know the appeal is the small tarts but I don’t have those. Yes, for sure! I think a pie pan would be about the right size!